Using Drush you can really simplify the process of installing a brand new Drupal site using a couple of commands in your CLI/Terminal. 1. 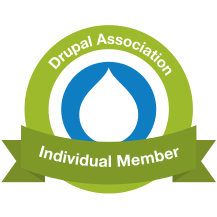 Firstly, create a Database for your New Drupal Installation and note the login credentials. 7.x: here 'x' is the version number. Right now it's 7.35 so i enter drupal-7.35. Note: The Drupal username and password seem to always end up as admin/admin no matter what I set them to. So, I suggest just using those and then changing them after you login to your new site.